You have health insurance and you expect your benefits to cover the cost of treatment for a vascular birthmark. Your insurance or HMO denies coverage. It’s not an unusual situation. 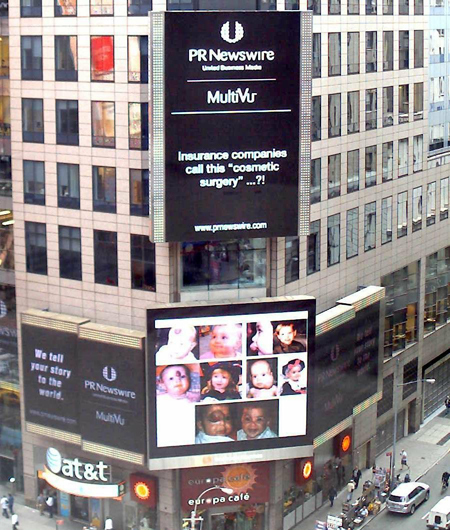 Many insurance companies still classify the treatment of vascular birthmarks as cosmetic surgery. The reason: for decades, the medical books instructed physicians to “leave them alone, they will go away.” Therefore, if the books say they will go away, the insurance company is going to consider treatment “elective.” Unfortunately, it will take a great deal of time and effort to change this philosophy. In the meantime, we want to help you plan a strategy for appealing an insurance denial. The following information has been excerpted from the Birthmarks book but it should be enough information to get you started on your appeal. Massachusetts residents get free health insurance. Use our Example Letter: Insurance Appeal Template provided by Corinne Barinaga, VBF Director of Education, to craft your own insurance appeal letter. Because there are so few specialists who treat vascular birthmarks, you may have to go out of network. If that’s the case, you’ll need to get a doctor in your network who will support your cause. Supply your network doctor with articles, journals, internet information and even a copy of the Birthmarks book as support for your cause. You will need his/her referral to the “out of network” specialist in order to convince the insurance company that the treatment is necessary and not obtainable in your network. Keep a detailed journal of the lesion(s) from birth to present. Document if the lesion bleeds, causes pain, problems, swelling, emergency room visits, or doctor visits for concern. If the lesion is on the lip, indicate if it affects eating or drinking or speaking. Seek other opinions that will support “out of network” treatment. Find a doctor who will do a phone consult with the specialist. Send him/her photos and or documention with and MRI, etc. If you are denied coverage verbally or in writing, request a detailed written explanation of the denial (this is very important for your cause/case). Ask your support doctor to request an “expedited appeal.” Call your carrier personally and ask the Medical Case Management Department for the specific steps to appeal the decision. Most carriers have 5 to 6 appeal levels. You don’t need a lawyer, most companies allow you to write the appeal letter yourself. Notify the Benefits Department of your employer about the denial. The insurance company may not be following the specific guidelines for your plan. A claims adjuster can make an error or faulty decision. Write or call your claims adjuster personally. File an appeal with your state’s Commissioner of Insurance Department. When writing to your Commissioner of Insurance, use key words and phrases like “the quality of my child’s life has been adversely affected by this lesion” or if the lesion is near an eye, ear or mouth you can indicate that it MAY cause a problem with seeing, hearing, eating or speaking. Also, list frequency of any bleeding, ulcerating, crying episodes. Indicate that the out of network specialist can likely treat the child in fewer visits than a doctor who does not know how to treat the child. Ask the surgeon who agrees to do your child’s surgery if she/he will accept the network fee for such treatment.